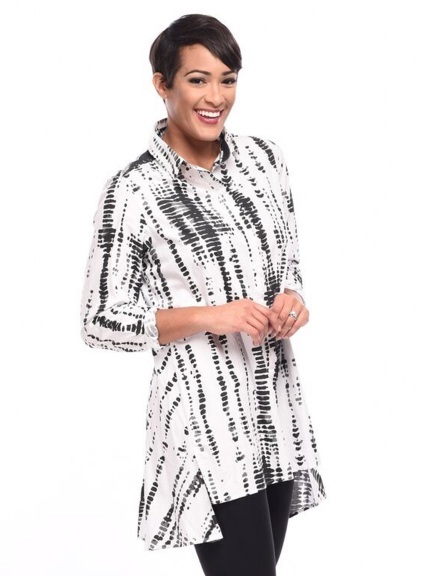 This flattering and modern cut that features a high-low hem serves as the perfect canvas for a shibori-inspired print. A covered button placket and simple back with yoke and waist seams complete the streamlined look. The color Sand Drop is available in any out-of-stock size as a Special Order, estimated to ship on April 29th for orders placed today.